Reel Time Gaming is a small but highly prolific Aussie developer not to be confused with their American rival Real Time Gaming. Headquartered in Queensland and operating since 2009, the company has managed to create more than 100 titles in a relatively short period of time. Reel Time gaming casino software provider started off by producing slots for land-based gaming cabinets and this segment still represents an important part of their overall business. Brick-and-mortar experience has been exploited to enter the online gaming scene in 2013. Since then, they’ve been getting quite popular and some of the Reel Time Gaming slot game titles are among the best. Let’s find out more about the Reel Time Gaming casino software and discover the best Reel Time Gaming slots. Check our collection of free Reel Time Gaming slots. Give them a try in the free demo mode. Check this Reel Time Gaming casino list for the best Reel Time Gaming casinos online. To Be eligible for this offer you need to make a minimum deposit of £50 with bonus code Y520. First Deposit Only. Minimum dep £50. Get a 100% bonus up to £50 and 50 free spins instantly credited upon deposit plus 10 Free spins (expire in 24 hrs) regularly given in a weekly interval Thursdays or Fridays for 52 weeks. WR of 30x Deposit + Bonus amount and 60x Free Spin winnings amount (only Slots count) within 30 days. Max bet is 10% (min £0.10) of the free spin winnings and bonus amount or £5 (lowest amount applies). Free Spins must be used before deposited funds. Bonus Policy Applies. First Deposit only. Min. Deposit £10. Standard Wagering and max bet apply. Game: Ninja Master. Spin Value: £0.20 per spin. Bonus Policy Applies. First Deposit only. Min. Deposit £10. Game: Spina Colada, Spin Value: £1. For every £1 you deposit you get 1 Mega Spin, up to 50 Mega Spins. 30x Standard Wagering both on the Bonus and the Free Spins winnings (game weights apply). The so-called Game Rings, featured in the company’s land-based offerings, may not be strictly relevant in the online environment but is a good indication of the company’s commitment to delivering unique solutions. A Game Ring is a multi-game platform featuring up to 10 different titles, all available in the same land-based terminal and each drawing from different gambling styles. It’s not that surprising to find the land-based experience influence Reel Time Gaming online products quite visible. Though colourful and visually appealing, most will not wow you with fancy 3D graphics and elaborate animations. Their online portfolio consists exclusively of slots developed with the help of HTML5 and they come with different themes and volatility levels. All of the Reel Time Gaming slot game titles are 5-reel slot games and offer a solid gameplay along with rewarding bonus rounds. Symbols upgrades, pick-and-click affairs, sticky and expanding Wilds, and multipliers, are part of Reel Time Gaming’s online slot products. Reel Time Gaming slots catalogue currently counts just over 20 titles. Though you won’t find the usual classic machines with fewer reels and pay lines, there are a few slot games that are more simple. Fruitinator creates winning combinations by matching 7’s, bells, and a variety of fruit icons. It offers the chance to collect up to 5,000 times the line bet in a single spin. Triple Flame provides a similar set-up and adds a Wild Flame symbol which will expand and freeze while other reels respin. The Diamond Game fills the reels with stacked icons and thus facilitates achieving full screen wins. The top prize is claimable by populating all reel positions with glittering diamonds. Even with such a limited game range, Reel Time Gaming casino software is able to cover multiple themes. 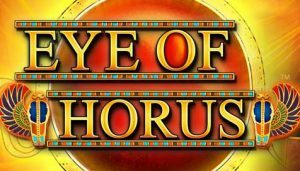 If Ancient Egypt is your preferred theme, launch Pyramids Deluxe or Eye of Horus. The latter pays over 10 flexible pay lines, provides a generous betting range and allows you to benefit from free bonus rounds. 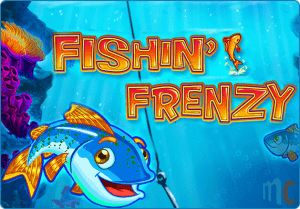 If you’re into marine titles, Fishin’ Frenzy will send you fishing for big cash rewards with up to 20 Free Games. But that’s not all! As you start spinning for free, you’ll notice small and big fish symbols appear with a price tag attached. Get the fisherman to show up simultaneously and he’ll catch all the fish visible on the reels, each contributing to bonus win. It’s this unique feature that makes Fishin’ Frenzy slot one of the most popular Reel Time Gaming titles. Holey Moley is another fun affair introducing a cute substitute mole. Once the free games get activated, the mole will start popping up in different reel positions, digging new holes and leaving a trail of Wild symbols behind. As long as your little helper stays clear of the farmer’s boot, you’ll keep spinning on the house – in theory, indefinitely! Wishing Well slot upgrades its free games bonus round by randomly transforming one of the icons into a special expanding symbol which pays in a Scatter-like fashion. 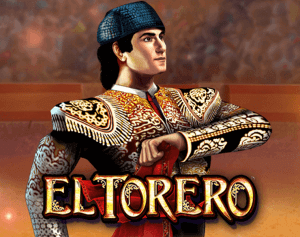 El Torero, inspired by Spanish bullfighting tradition, is another of the developer’s big hits. The mechanics are relatively simple, with the matador acting as a substitute and Scattered bulls triggering free spins round.